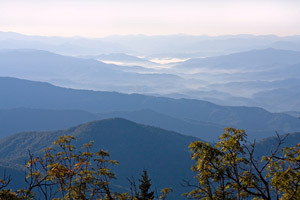 Find a great place to eat among the number of unique Blowing Rock NC restaurants. Whether you’re staying for a night, week, or lifetime, you’ll have plenty of establishments from which to choose. From cafes to eateries specializing in certain cuisines, there are options that will appeal to the entire family. If you’re on our site to browse available properties in the area, rest easy knowing you’ll be relocating to a place that won’t let your palate go without. We’ve put together just a sliver of the dining choices of the High Country below to give you an idea of what you can look forward to experiencing. Bistro Roca offers an elegant bar and bistro atmosphere with fireside seating. The menu features seafood, steak, and artesian pizzas, to name a few of the delectable items. Village Café is a nice little gem that features affordable breakfast and lunch options. Boasting a garden-like setting, its atmosphere is one you’ll remember. Town Tavern is your typical sports bar and restaurant with an element of sophistication. Wings, burgers, and savory appetizers await your visit. Woodlands BBQ is known for its mouth-watering food items. If you enjoy a laid-back setting, live entertainment, and exceptional BBQ, you won’t want to miss this spot. Mellow Mushroom is a hip pizzeria that specializes in gourmet pizzas. It’s hard to select one of the many kinds, from the Mediterranean to the Philosopher’s Pie, not to mention their calzones and hoagies. Kilwin’s isn’t exactly a restaurant, but it’s such a scrumptious place, we couldn’t leave it out. This inviting shoppe features an array of chocolates, candies, fudge, ice cream, homemade waffle cones, and more, yes more! This is by no means a comprehensive directory, but we hope it’s enough to get you excited about possibly living near the great Blowing Rock NC restaurants.